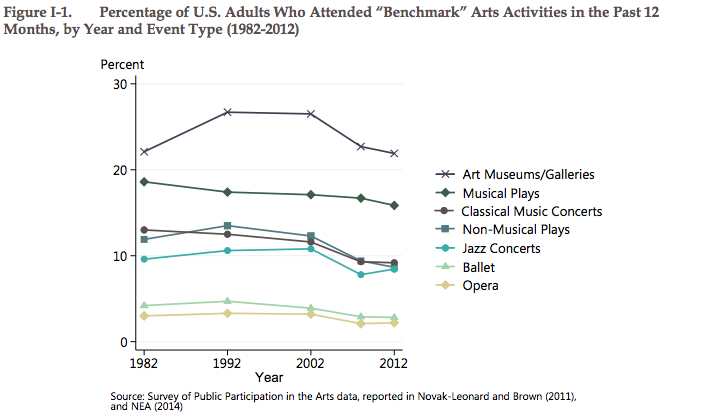 It is essential that arts organizations adapt to shifting demographics and a rapidly changing participatory culture. In effort to address this new need, virtual reality and augmented reality can show us new ways to explore the arts and help spark a new interest and motivation for arts-goers. When was the last time you treated yourself to a cultural event to enjoy the music, art, and lively atmosphere that it had to offer? Hopefully not too long ago, but if you are struggling to find yourself at these events, then you should know that you're not alone. About 31 million Americans are in the same situation as you. An entire 13% of the whole American population want to attend these events but can't due to various reasons such as a lack of time and general interest. This particular group of people is referred to as the "missing audience", and its size continues to grow - hinting at our society's loss of touch with the arts. The inevitable truth is that people are getting busier and our immediate attention is being consumed by other events in our lives. Naturally, less and less adults are reading poems, novels, or plays and museums and galleries have been seeing a continuous decline in traffic. In such a busy time and media-saturated landscape, how do we restore our relationship with the arts? 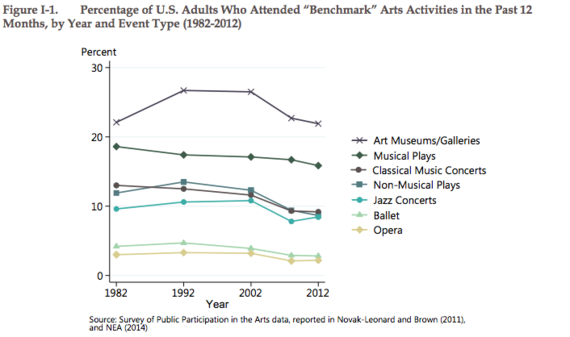 According to the National Endowment for the Arts (NEA) institution, it is essential that arts organizations adapt to "shifting demographics and a rapidly changing participatory culture". In effort to address this new need, virtual reality and augmented reality can show us new ways to explore the arts and help spark a new interest and motivation for arts-goers. Due to the lack of interest and traffic, museums across the globe are feeling the need to advertise their offerings as big "blockbusters" in order to grab viewers' attention. Often times we see them using phrases like "biggest ever", "most comprehensive", or "revelatory". To get customers' foot in the door, they say that a piece of art is a "first-ever" or "limited-time" offer. Museums have also offered supplemental "backstories" to pictures along with some history of the personalities involved. By doing this, museums hope to provide some context and additional value that would lead to a bigger audience. However, not all museums and institutions can offer exclusive content, and there is certainly a limit to "first-evers" and "biggest-evers". This is where virtual reality and augmented reality come in. It can become the new and revolutionary way of reviving interest in the arts by allowing people to engage and participate in the content. Sid Lee + Merchlar = Augmented Reality Museum Mobile Application from Merchlar on Vimeo. To test and demonstrate the benefits of virtual reality, the British Museum's Samsung Digital Discovery Centre (SDDC) held a Virtual Reality Weekend in 2015. After the experience, the institution surveyed 351 visitors to get feedback according to a four-point rating system from "Not Good" to "Very Good". About 80% of the respondents rated the VR activities to be either "Good" or "Very Good", leaving positive remarks on how fun and exciting the experience was. Going beyond the "fun" aspect of it, when asked about how much the VR technology helped viewers learn about a certain aspect of the museum, the response was very enthusiastic. One visitor described the experience as "fantastic, interactive way to learn, [I] wanted to spend more time. It really helps visualize the height and depth of a Bronze Age village." Furthermore, the visitor demographics showed that the VR experience was "a particular draw for teenagers and adults". The interest among these particular demographics is natural, as 16-35 year olds and 36-55s were found to have the biggest awareness of virtual reality (48% and 44%, respectively). 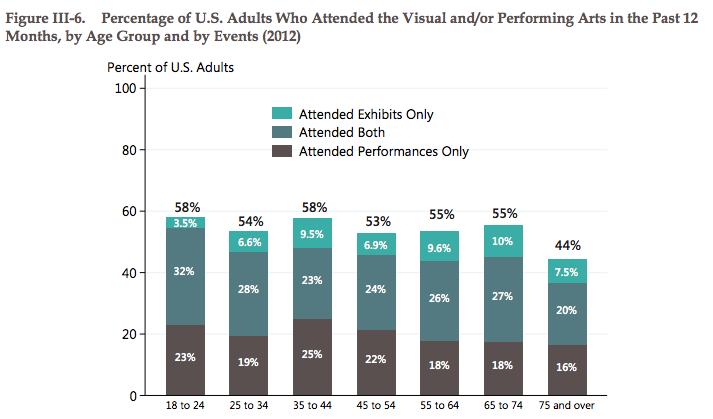 These age groups, according to the General Social Survey (GSS) and NEA, are the key age groups in art consumption as overall rates of arts attendance were highest among individuals aged 18 to 24 and 35 to 44. 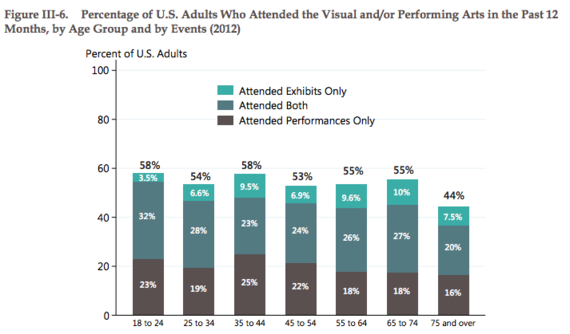 About 58 per cent of both age groups attended at least one exhibit or performance within the survey year, and in both groups, about one in four attended both an exhibit and a performance within the past year. 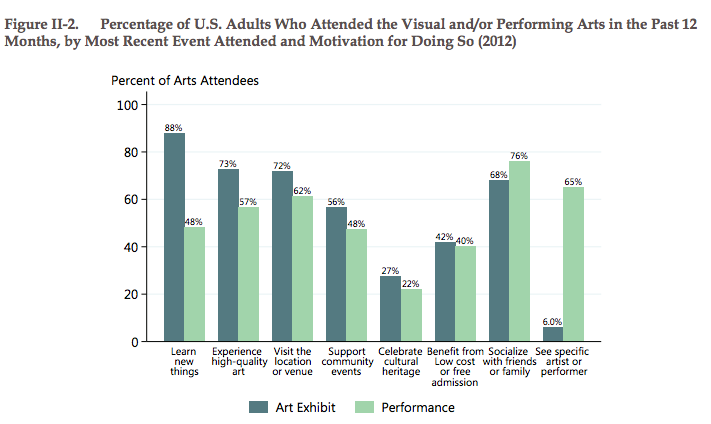 Furthermore, the main reasons why people attend art exhibits, as the same study shows, are to "learn new things" and "experience high-quality art". Given that the demographics of the biggest art consumers and the demographics of those interested in virtual reality share the desire to learn, it is clear that VR is and will be a significant tool in the arts industry. To further support the above-mentioned findings, technology has continuously proven its ability as an enabler of arts consumption. 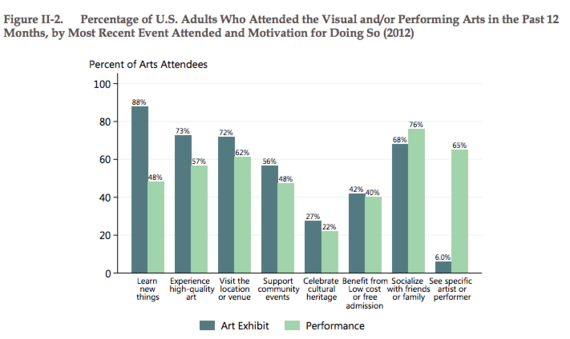 According to a study done by The Survey of Public Participation in the Arts (SPPA) -- the largest and most comprehensive survey of U.S. arts participation -- in 2012, about 75 percent of American adults used electronic media to consume art. Many museums have already started leveraging new technologies to encourage art consumption, including augmented reality and virtual reality. Starting with the British Museum's "Chess Project", augmented reality has made its way to Athens, Greece, at the Acropolis Museum. Here, AR brought a collection of architectural and sculptural remains to life by restoring colours and lost features. Similarly, at the Cité de l'Espace in Toulouse, France, AR has been used to bring space flight and the layout of the universe to life. To examine the AR experience more constructively, Manchester Metropolitan University studied 22 participants, and it was shown that 72% of the participants could remember information better, highlighting its advantage and usefulness as an enhancer of learning. As for VR, The Dali Museum has recently launched an exhibit called "Dreams of Dali" where you can step right inside and explore the artist's 1935 painting Archeological Reminiscence of Millet's Angelus. The visitors can explore every detail of the painting as if they truly exist in Dali's beautiful yet eerie abstract world, and it has taken the whole art and learning experience to another level. In fact, in a study done by Timothy Jung to test the effect of virtual reality on visitor experience, virtual reality received a mean score of 5.95 out of 7 on the educational factor, and 6.10 on the entertainment factor from a sample size of 163 participants. Overall, the arts (including the film and television industry) have generated over $698 billion of US GDP in 2012. Not only is the industry size significant to the well-being of the US economy, but it is also one of the most profitable sectors, as the NEA suggests that "for every dollar of increased spending on artworks, $1.98 of total economic output is created. In the case of museums, every new dollar of demand creates $1.76 of gains." Evidently, to interact and consume art is a significant part of our culture and economy, and the revival of it may depend on new technology, such as virtual reality and augmented reality. These tools go beyond the simple role of "attention-grabbers" and can help us engage and learn on a deeper level, shifting the way we interact with art and its history. 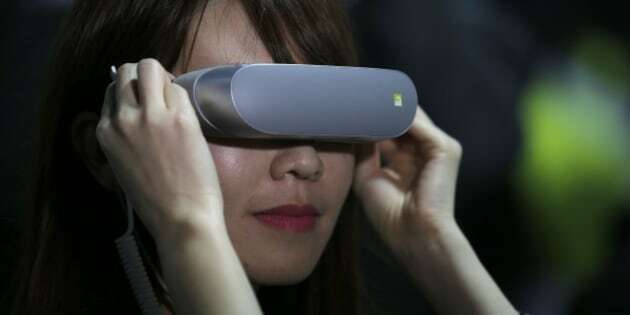 Ultimately, virtual reality and augmented reality will be one of the tools that enable us to reconnect with the fine arts.